Belova IV and Ovsyannikova AL (1985) Effect of Thermo-Elastic Stresses on the Crystallization of a Sphere in Weightlessness, Journal of Applied Mechanics and Technical Physics, 26, 708-713. Belova IV and Kuznetsov VV (1988) Computation of Concentration in the Process of 'Directed' Crystallization Under Weightless Conditions, Dinamica sploshnoy sredy, Novosibirsk, 63, 107-112. Belova IV (1990) Stability of a Plane Crystallization Front Moving with Constant Velocity, Dinamica sploshnoy sredy, Novosibirsk, 89, 83-91. Belova IV (1990) Computations of Temperature and Thermo-Stresses in a Crystal at the Floating Zone Crystallization Process, Matematicheskoye modelirovaniye. Prikladniye zadachi matematicheskoy fizika, Riga, 21-29. Belova IV (1991) Computation of the Elastic Stresses Induced by a Non- Uniform Distribution of the Impurity Concentration in the Process of 'Directed' Crystallization Under Weightless Conditions, Dinamica sploshnoy sredy, Novosibirsk, 96, 38-47. Badratinova LG, Belova IV and Leontyev NA (1991), Solidification of a Liquid Sphere under Weightlessness, International Journal for Micro-gravity Research and Applications, 4, 85-87. Badratinova LG and Belova IV (1991) Bifurcations of the Quasi-Equilibrium State of an Elasto-Plastic Sphere at Solidification Under Weightlessness, Doklady Akad. Nauk, 326, 231-234. Belova IV and Volova GB (1993) Thermo-Capillary Convection in the Floating Zone Method, Journal of Applied Mechanics and Technical Physics, 6, 3-11. Belova IV and Murch GE (1996) Two Approaches for the Evaluation of Collective Diffusion Correlation Factors, Philosophical Magazine A, 73, 101- 115. Belova IV and Murch GE (1997) The Manning Relations for Atomic Diffusion in a Binary Ordered Alloy, Philosophical Magazine A, 75, 1715-1723. Belova IV and Murch GE (1997) A Theory of Diffusion in the L12 Structure I: Tracer Correlation Effects, Journal of Physics and Chemistry of Solids, 58, 301- 309. Belova IV and Murch GE (1997) A Theory of Impurity Diffusion in Intermetallic Compounds and Ordered Alloys, Berichte der Bunsen-Gesellschaft für Physikalische Chemie, 101, 1325-1332. Murch GE and Belova IV (1998) Theory and Simulation of Diffusion Kinetics in Intermetallic Compounds, Proceedings Materials Research Society, 527, 81- 92. Belova IV and Murch GE (1998) Analysis of Impurity Diffusion Kinetics in Intermetallic Compounds, Proceedings Materials Research Society, 527, 81-92. Murch GE and Belova IV (1999) Kinetic Theory of Diffusion by Vacancy-Pairs in Mixed Ionic Compounds with the CsCl Structure, Radiation Effects and Defects in Solids, 151, 21-27. Belova IV and Murch GE (1999) Diffusion Kinetics for Migration by Bound Vacancy-Pairs in Ionic Crystals, The Philosophical Magazine A, 79, 1509-1515. Belova IV and Murch GE (2001) Kinetic Theory and Simulation of the Anti- Structural Bridge Mechanism in Ordered Alloys/Intermetallic Compounds of the B2, L12 and DO3 Structures, Metal Physics and Advanced Technologies, 19, 55- 62. Belova IV and Murch GE (2001) Analysis of the Hart Equation in Fine-Grained Material, Defect and Diffusion Forum, 194/199, 1223-1227. Belova IV and Murch GE (2001) A Simulation Study of Tracer Diffusion Concentration Profiles Resulting from the Transition from Dislocation Pipes to Grain Boundary Slabs, Proceedings Materials Research Society, 677, AA7.7 - electronically published. Belova IV and Murch GE (2002) Determination of Atom-Vacancy Exchange- Frequency Ratios from Experimental Intrinsic Diffusivities in Disordered Binary and Ternary Alloys, Defect and Diffusion Forum, 203/205, 125-130. Belova IV and Murch GE (2002) Tracer Diffusion in the Concentrated Lattice Gas with Self-Exclusion, Defect and Diffusion Forum, 210/212, 55-60. Belova IV and Murch GE (2003) Computer Simulation of Solute-Enhanced Diffusion Kinetics in Dilute FCC Alloys, Philosophical Magazine A, 83, 377- 392. Belova IV and Murch GE (2004) Analysis of Interdiffusion via Isolated Vacancies in Strongly Ionic Crystals, Philosophical Magazine, 84, 2139-2146. Belova IV and Murch GE (2004) Analysis of Interdiffusion via Vacancy-Pairs in Strongly Ionic Solids, Philosophical Magazine, 84, 3637-3653. Mishin Y, Belova IV and Murch GE (2005) Atomistic Modelling of Diffusion in the TiAl Compound, Defect and Diffusion Forum, 237-240, 271-276. Belova IV and Murch GE (2005) Carbon Interstitial Diffusion in ? ?³-Fe, Diffusion Fundamentals, 2, 9.1-9.2- electronically published. Murch GE and Belova IV (2005) Phenomenological Coefficients in Solid State Diffusion, Diffusion Fundamentals, 2, 8.1-8.14-electronically published. Belova IV and Murch GE (2005) Sum-Rule Relationships among Phenomenological Coefficients: Simplifications for the Analysis of Segregation and Chemical Diffusion, Journal of Phase Equilibria and Diffusion, 26, 503- 509. Gosain KL, Chaturvedi DK, Belova IV and Murch GE (2006) Six-Jump-Cycle Mechanism for Collective Correlations in Nonstoichiometric Intermetallic Compounds, Defect and Diffusion Forum, 251-252, 59-68. Gosain KL, Chaturvedi DK, Belova IV and Murch GE (2006) Vacancy-Wind Factors and Collective Correlation Factors in Nonstoichiometric B2 Intermetallic Compounds, Defect and Diffusion Forum, 251-252, 69-78. Murch GE and Belova IV (2006) Analysis of Interdiffusion and Intrinsic Diffusion Coefficients in Multicomponent Alloys to Obtain Information about Diffusion Mechanisms, Defect and Diffusion Forum, 258-260, 237-246. Belova IV, Murch GE, Samuelis D and Martin M (2006) Cation Diffusion and Demixing in Yttria-Stabilized Zirconia: Comparison of Assumption of Constant Electric Field and Constant Current, Defect and Diffusion Forum, 258-260, 247- 252. Belova IV, Samuelis D, Martin M and Murch GE (2007) Collective and Tracer Diffusion via a Defect Cluster in LSGM, Defect and Diffusion Forum, 263, 81- 86. Belova IV and Murch GE (2007), Monte Carlo Modelling of the Effective Diffusivity in Composite Materials, Defect and Diffusion Forum, 261-262, 103- 108. Evteev AV, Levchenko EV, Belova IV and Murch GE (2007) Shrinking Kinetics by Vacancy Diffusion of a Pure Element Hollow Nanosphere, Philosophical Magazine, in press. Fiedler T, Öchsner A, Belova IV and Murch GE (2007) Calculations of the Effective Thermal Conductivity in a Model of Syntactic Metallic Hollow Sphere Structures Using a Lattice Monte Carlo Method, Advanced Engineering Materials, in press. Fiedler T, Öchsner A, Belova IV and Murch GE (2007) Thermal Conductivity Enhancement of Compact Heat Sinks Using Cellular Metals, Advanced Engineering Materials, in press. Belova IV and Murch GE (2007) Visualization of the Vacancy-Wind Effect in Ionic Conductivity and Chemical Diffusion, Defect and Diffusion Forum, in press. Belova IV and Murch GE (2007) Exploration of the Harrison Type-A Kinetics to Type-B Kinetics Regimes in Grain Boundary Diffusion, Defect and Diffusion Forum, in press. Belova IV, Murch GE, Samuelis D and Martin M (2007), Diffusion Kinetics Analysis of Cation Diffusion in YSZ and LSGM, Defect and Diffusion Forum, in press. 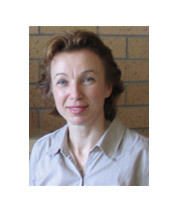 Evteev AV, Levchenko EV, Belova IV and Murch GE (2007), Theoretical Studies of Diffusion Kinetics in Austenite, Defect and Diffusion Forum, in press. Evteev AV, Levchenko EV, Belova IV and Murch GE (2007) Modelling of Formation by Interdiffusion of Pd-Ni Alloy Nanoparticles, Defect and Diffusion Forum, in press. Evteev AV, Levchenko EV, Belova IV and Murch GE (2007) Atomistic Mechanism of Carbon Diffusion in Cementite, Defect and Diffusion Forum, in press. Evteev AV, Levchenko EV, Belova IV and Murch GE (2007) Theoretical Analysis and Atomistic Modelling of Diffusion and Stability of Pure Element Hollow Nanospheres and Nanotubes, Defect and Diffusion Forum, in press.